Here, we present a list of 10 wooden cabins that will give a new and elegant look to your garden. 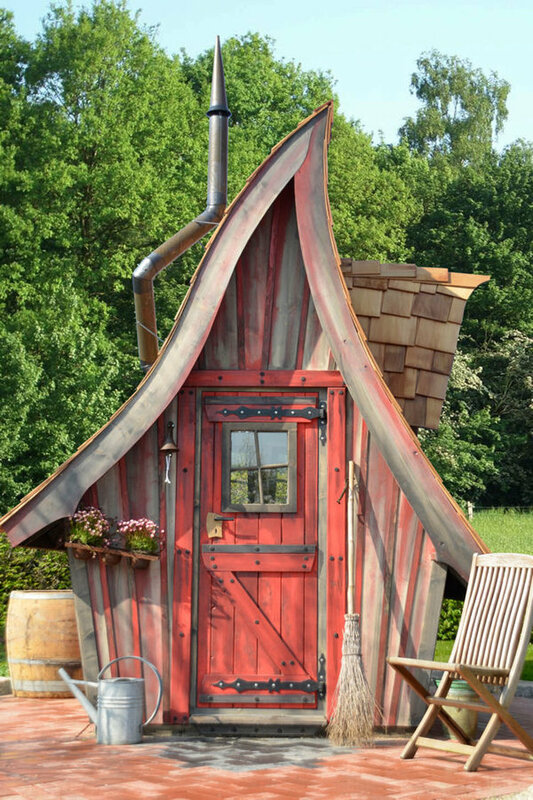 With its quirky and poetic style, this funny little hut of 12 m² seems out of a fairy tale. Invented by “Casa Mirabilia”, it will add a touch of originality to your garden and, delight young and old. Best of all, you can choose to add a small fireplace. Installed at the height of more than 8 meters high, the African hut offers a living space of 15 m² with a bedroom, a bathroom and a terrace of 5 m². Enjoy its many windows that allow to make the most of the surrounding nature. 3 platforms suspended in the air, this exceptional cabin of 48 m² can accommodate up to 14 people. This true masterpiece, had required numerous hours of hard work to its owner Abane. Its construction costed 160,000 euros. It is also possible to stay a night in it at much more affordable rate of 350€ per night. 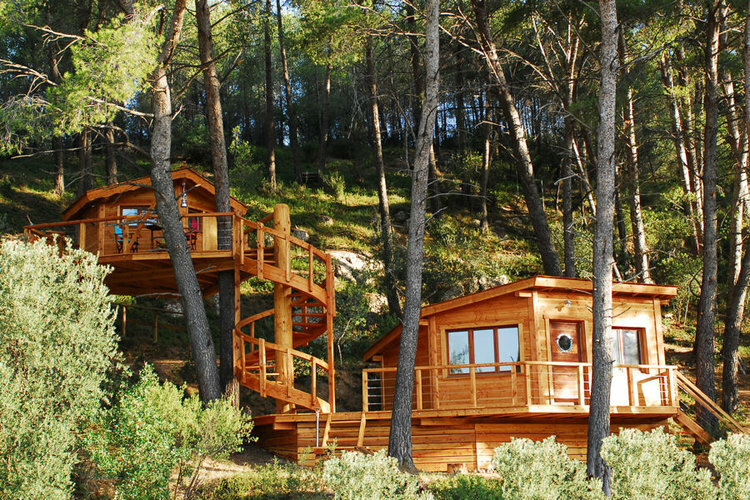 This nest cabin offers high quality services with its carefully landscaped terrace of 23 sqm. A beautiful work from Dansmonarbre, it is intended to accommodate a family of 4 people and can easily be utilized as a friend’s home or cottage. The cabin is an example example of the pixel design and craftsmanship. “ Thanks to an ingenious rail system, its colored sides can slide and interchange. 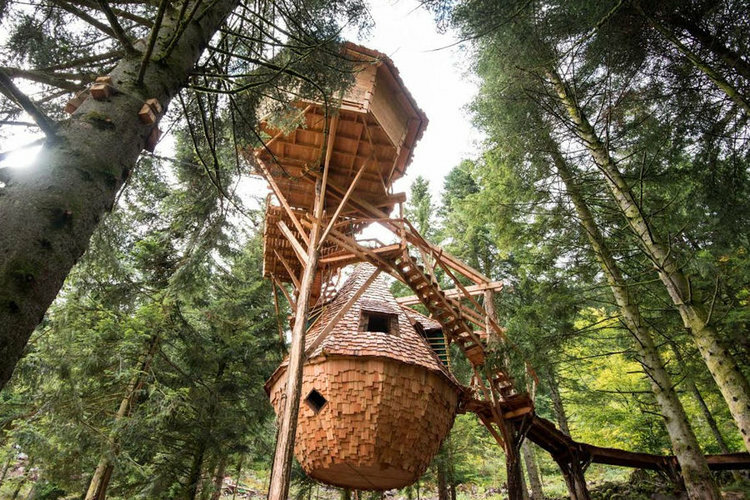 This wooden shelter, which has a very contemporary style, measures 6 m². 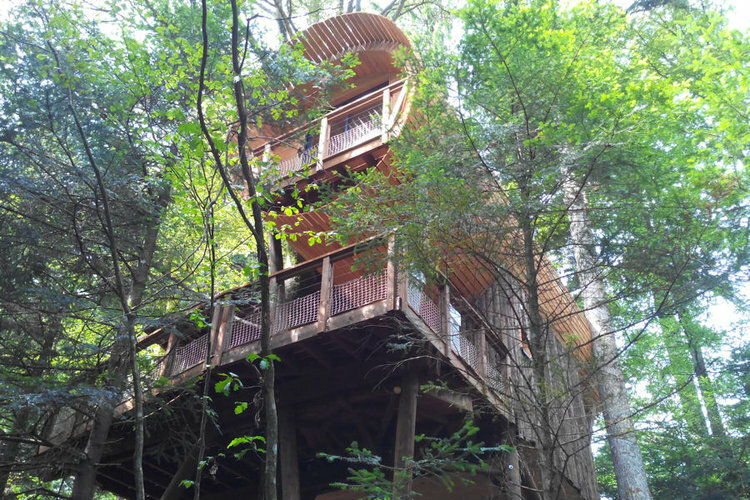 This cabin is distinguished by its large size of 48 m² and 2 floors. It has two distinct rooms each with its terrace. 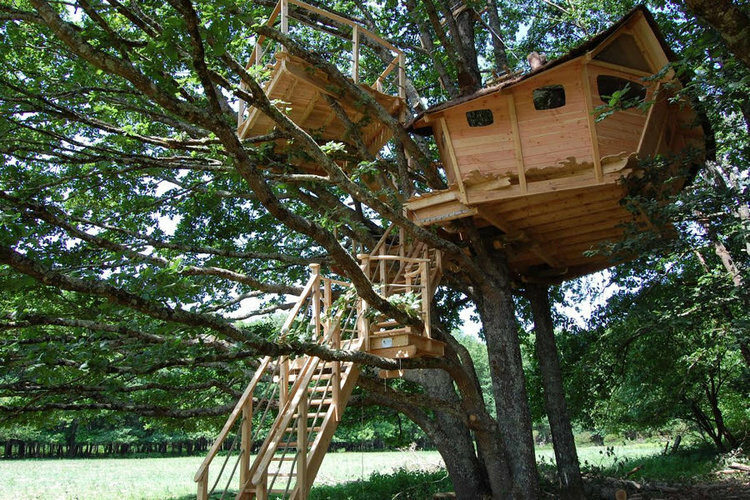 It is designed by ReveDeCabane, a company specializing in the construction of wooden structures. 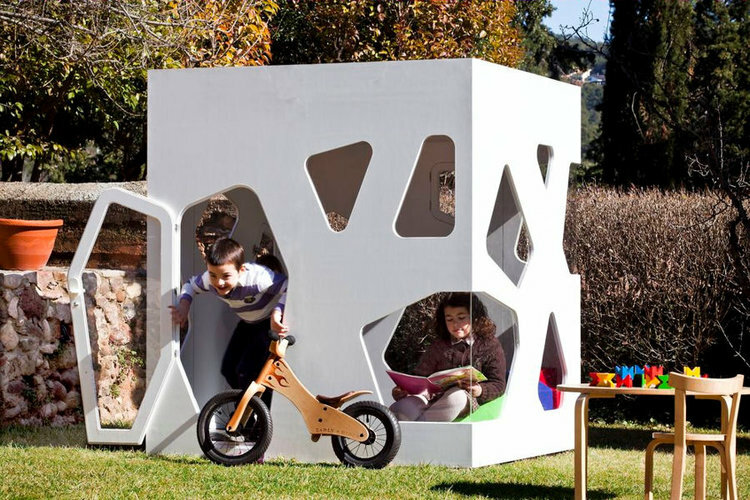 The cabin of the SmartPlayhouse’s Koyoto Junior has the most elegant shape and style. Far from the traditional small houses, it is designed to provide a cozy space and bright experience with 7 windows and birch walls. 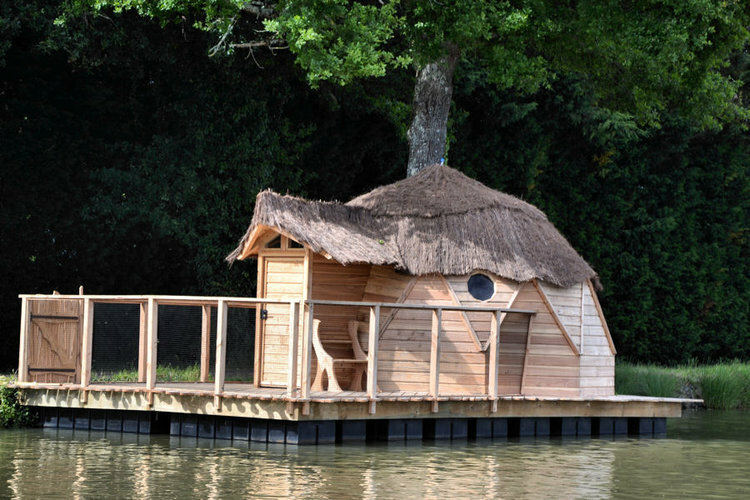 Halfway between a cabin and a raft, this beautiful houseboat offers a total surface area of 40 sqm. It has a bedroom, a small bathroom and a terrace. 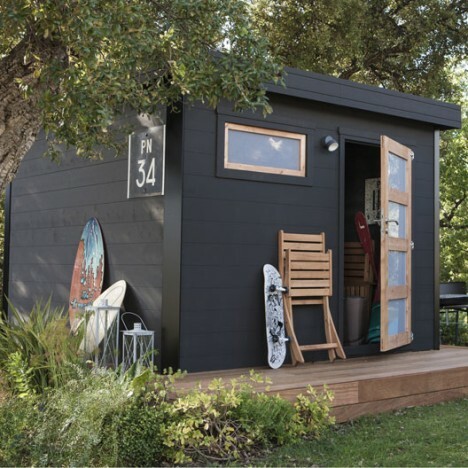 This elite garden shed has 8 m² with a distinct designer style having a flat roof and black paint. It has a small window and a glass door to enjoy a maximum brightness. This shelter comes in a kit that can be assembled in just one day. 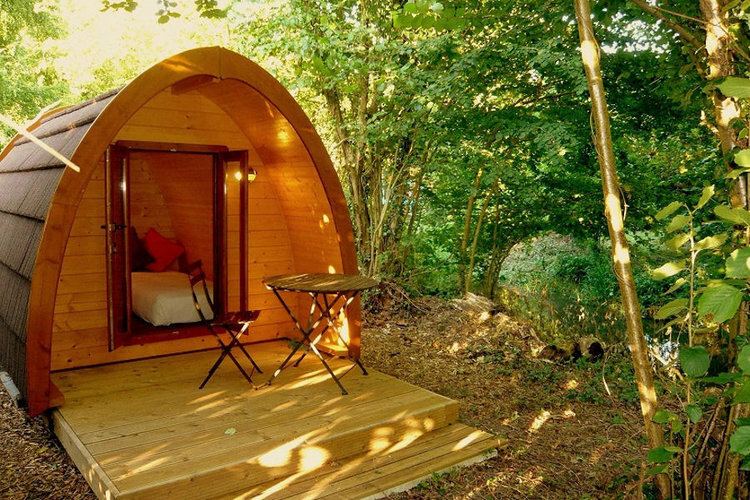 The Pod can be classified as the most modern day cabin. 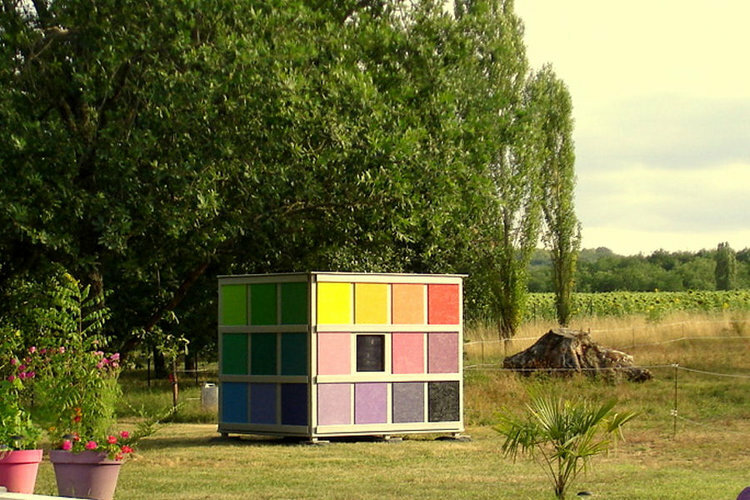 These funny little houses of 6 m² are designed to be installed in nature without depriving you of modern comforts.